Leaders of EU nations will vote in December on measures to phase out the use of traditional incandescent light bulbs, explains Matt Prescott. But, in this week's Green Room, he says lobbying by the lighting industry could result in the 27-nation bloc dimming its ambitions on energy efficiency. When I first set up the Ban The Bulb energy efficiency campaign and proposed the phased banning of traditional incandescent light bulbs, even my friends thought I was crazy. Now, almost four years later, 30 countries have announced plans to phase out the use of these old fashioned appliances; China has announced plans to phase out the production of most of the world's incandescent light bulbs, and the major light bulb manufacturers have accepted that change is inevitable. However, behind the scenes, the details associated with these public pronouncements remain to be converted into legally binding action, and a lot hinges on the votes that European governments will cast in Brussels on 8 December. The lighting industry has said that it wants to be allowed to sell improved incandescent light bulbs, which use 25% less electricity than their traditional equivalents and would cut Europe's annual electricity use by the equivalent of two-and-a-half large power stations. In my view, allowing the lighting industry to decide how much they should improve the energy performance of their products is extremely unwise, bordering on scandalous. It is akin to asking the world's banks to regulate themselves. Manufacturers have patents, factories, markets and profits to protect and cannot be expected to decide, in an impartial fashion, what is technologically feasible or economically justifiable for the EU's 27 member countries and 500 million citizens. It is therefore essential that our leaders protect the interests of society and the environment by deciding where they want us to be in five years time and what is possible, rather than settling for what suits the short-term, narrow interests of big business. Compact fluorescent lamps (CFLs) already offer energy savings of between 65% and 80%, and the best designs, in my opinion, need to form the basis for any minimum energy performance standard within the next three to five years for the majority of domestic light bulbs sold in the EU. Using the best designs of CFLs available today would allow the EU to cut its annual electricity use by an amount equivalent to 10 large power stations. By contrast, allowing the use of improved incandescent light bulbs being promoted by the manufacturers would result in the Europe's carbon dioxide emissions being up to 53 million tonnes higher each year than if the CFL benchmark was adopted. Based on the recent price for carbon emissions, this outcome would impose an unnecessary annual emissions cost of one billion euros (£800m) on the continent's electricity bills. Using wasteful light bulbs also requires countries to pay for large coal imports and to have extra power stations available to provide electricity during periods of peak electricity demand. At the household level, energy saving light bulbs can help to slash electricity bills. It now costs about one euro (£0.80) to buy a good quality CFL in the UK. On average, this can be expected to use 15 euros (£12) less electricity each year for its lifetime of six or more years. During its manufacture, each CFL does require about four times as much energy as a single incandescent lamp. However, it then lasts six times longer and uses 65% - 80% less electricity throughout its 6,000-hour lifetime. As a result, the manufacturing, replacement, running and carbon costs accumulated over the lifetime of a single CFL are all significantly lower than those associated with using many shorter-lived incandescent light bulbs. 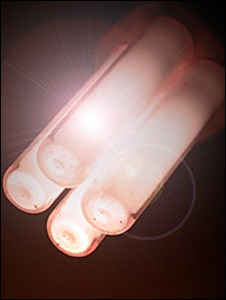 On the down side, each CFL contains about 4-6mg of mercury. However, this mercury content can be safely and fully recycled, and there is no need for energy saving lamps to pose a risk to health or the environment. By comparison, burning the extra coal needed to keep an incandescent light bulb working releases roughly three times more mercury directly into the atmosphere and poses a genuine risk wherever it ends up. My preferred solution would be for the mercury content of CFLs to be reduced to 1-2mg and for every EU nation to introduce robust methods for recycling all of the hazardous substances found in homes. I also feel that EU governments should introduce minimum performance standards for the illumination produced by CFLs and ensure that only the best designs, which produce a warm, bright light within five seconds and emit no ultraviolet light, are allowed on the market. For the small proportion of household lamps that need to be used with dimmers, I would like to see light emitting diodes (LEDs) being brought into widespread and affordable use within five years. LEDs offer energy savings of 90% and produce an instant bright illumination, contain no mercury and can be fully dimmed. They also last for up to 50,000 hours, so do not need to be replaced for many, many years. Perhaps this is why there is reluctance among manufacturers to sell them. I have not endorsed LEDs before, but they are now available as table and floor lamp substitutes for 40W, 60W and 100W incandescent bulbs, and I firmly believe that national governments should do everything in their power to create a massive market for LEDs. Overall, I am delighted that EU leaders have decided to phase out traditional incandescent light bulbs. However, I hope that our politicians will find the courage to do everything they can to bring into use the high end of the energy efficient products that are already available. I am confident that much greater energy efficiency offers the most cost effective way to bring about a positive step change in our energy bills, carbon emissions and energy security. Do you agree with Dr Matt Prescott? 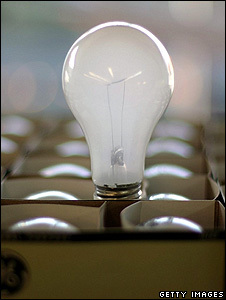 Should the EU show leadership and ban all but the most energy efficient light-bulbs? Is action by EU nations failing to live up the rhetoric on climate change? Or should the way we light our homes be left to the choice of consumers? Agree with need to phase out energy wasteful systems such as incandescent lightbulbs. I wonder though, since LEDs provide a larger energy saving with no mercury and have a far greater lifespan, why not skip the CFL completely and roll out LEDs instead? Are there any arguments against this? While John Wright is correct about the laws of physics I still disagree with his main conclusion. Energy saving lamps are effective because they reduce the use of a high cost/value energy source. Using electricity to heat a room is normally very inefficient in economic terms (Why else have a gas fired boiler). 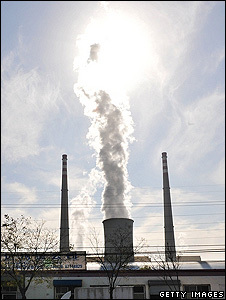 First coal is burnt at a power station and then transmitted. Effective loses during generation and transmission heat the countryside instead of your building which is at least economic waste if not physical. While higher energy cost are part of the reason for more expensive bulbs it is not the only source of increased expense. The new bulbs required new factories and machinery which have write down costs. Research in new materials and production procedures also had a cost attached to them. More expensive materials than used in previous generation lamps due to relative rarity etc... The article of course mentions that the energy cost for manufacturing is 4 times the old one but that they last 6 times as long. This would mean that the energy cost per year of light would be a quarter less using the new lamps instead of the old. e.g. you want to light a room for 12 years. Assuming the old style lamps last a year (assumption does not affect the conclusion it just makes it easier to calculate) meaning 12 old style lamps would have been bought. While for the new lamps you would have bought 2. Energy cost of manufacturing would be 4 times higher for the new lamps. Thus 4*2 is 8. 8 is lower than 12 thus even at production the new lamps are better in the long term. The same goes for economic cost for the consumer 5 times the price but last 6 times as long. This means a lifetime rebate on the cost of light. In the end I do not think that the public has been bamboozled at all! But instead I think that they have been quite well informed in this well written article. It's true that incandescent light bulbs add heat to a room. However they do so innefficiently in most cases because they are reliant on the electricity grid. A gas central heating system is probably well over 80% efficient. Maybe over 90%. Electricity generation is a pathetic 40% if you're lucky at the station then a further 20% loss over the grid. Granted the savings quoted for CFLs are often inflated but they /are/ better for the environment. Given the sheer number of lightbulbs in use those savings are worth having. John Wright from Leominster, UK does not seem to have read the article! The energy consumed in manufacture was considered and taken into account. Also despite his concerns, he still admits that CFLs provide an energy saving. I don't understand his problem. My comment refers to the location and concentrations of rare earth elements and how the usage of those elements in modern technology affects the manufacture, cost and availability of new technologies which can help reduce energy demand. I was searching for relevant REE usage in CFLs and LEDs and came upon a USGS report from 2002 titled Rare Earth Elements - Critical Resources for High Technology. It's no wonder China holds a strong hand in modern technology and if I might be so bold I would strongly urge nations and individuals to conserve energy, cooperate with each other on constructive environmental technology and give greater respect to people who have to bear the environmental and political costs of mining, refining and manufacturing operations. In my estimation those who see military applications as anything other than a handicap to solving this global warming thing that hangs over us all are sadly mistaken. I would urge those considering new lighting efficiency standards here in the US and in Europe to take into account the availability and costs of raw materials required by relying on high tech solutions. I completely disagree with Matt. I do use some CFL's and am passionate that we should stop wasting the planet. BUT, energy efficient light bulbs are far from a perfect product. Having spent a small fortune trying to find ones that work in my domestic environment, the fact that they take longer than incandescent bulbs to produce full light and are larger and aesthetically ugly precludes their use in some areas without major expenditure in replacing light fittings and rewiring the house. In my view the energy savings are trivial compared with what's possible by focussing on heating, transport and the choice of products one buys. If they were really a good deal why can't the market take its course and people choose to use them freely or not? So far as I'm concerned there is no case for compelling people to use what may for them be an unsuitable product whilst leaving them free to buy (for example) ridiculously energy profligate SUV's. Maybe the EU should try not to phase out nuclear power (especially Germany). It's the cleanest energy - precautions taken - and it would make this light bulb stuff less relevant. theres no consiracy against LEDs like you seem to suggest. While they have been around for decades, their ability to illuminate an area around them has been limited, hence the reason their current commercialisation has been limited to traffic lights, which only need to be seen easily but not have to light up the streets like street lighting. Working for a lighting business, i can tell you the main problem with the new LEDs which can illuminate an area around is that they cost an incredible amount on money due not having reached economies of scale. While they last many times longer than conventional lights, most purchasing officers for businesses are only looking to minimise the upfront cost to please their bosses. Also, while they may use very little energy, using 60% less energy then a CFL might sound great, but the nominal decrease is not very much compared to going from an incandescent to a CFL. We're just waiting for the rich people of the world to buy these new and expensive (but very good for the planet) technologies so that it can become affordable for the rest of us. I think banning incandescent bulbs outright is a bit extreme. I'd like to see them phased out slowly and funding put to developing replacement LED bulbs. One thing that could be done immediately is to cut wattage on incandescents by 5%. People wouldn't notice 5% less wattage and you'd start saving energy immediately. Although incandescents put out considerable amounts of waste heat, I find it hard to believe that the average person owns and uses enough incandescent lights in their home to actually lower their heating bills. Every time there is a fundamental chnge in the underpinnings to a contry or a major industry, mny expect collapse and doom. So when slavery was banned in the British Empire, instead of the empire collapsing, it flourished. Sme here. The sooner the industry moves to support this inevitable change, the better and the industry and the public will benefit. John Wright, your argument is only partially correct. Heat in a lamp is produced by the resistor properties of the filament. Therefore you expect it to be conducted out of the thermostatically heated room by the wires (because metal is much better heat conductor than air). You are somewhat erroneously assuming that heat is transferred from a filament lamp by radiation, which is negligible with respect to the conduction heat. Note that the vacuum in the tube makes it even harder to get the heat out of the resistor. I use energy savers in my house, they have brought down the light bill. The gas bill (for heating) has not moved at all. Is my house unaware of the "law of physics"? I think this is a good start for people to get used to energy efficient technology/appliances. I think that you should be more careful while using the statistics as the way you are presenting them it will confuse people and someone who can calculate can see that there is no big difference in monetary terms per person. I like it as this suggest to start small. With regard to John Wright's comment-have you seen anyone staying near a light bulb in order to get heated. Light bulbs spend a lot of energy on heat but that heat does not have intensity to change temperature of a room not even 0.00000001%.How could it bee that one should give importance to such theory. John Wright is absolutely correct - where heating is required the removal of incandescent light bulbs will simply increase the loading on the heating system. So what is required is an economic driver to encourage the installation of heat pumps - which will make a very significant difference to the consumption of hydrocarbon fuels. Having said that, the light bulb campaign is politically useful in that everyone can be involved and will begin to think about energy conservation - as long as people feel they are being told the truth and not bamboozled by the lobbyists. I work in an architectural firm and have had experience with "thermostatically controlled rooms" although nothing with such a name applied. My father worked on the hopsital in Sakatoon, Saskatewan and the university where the lighting was designed as apart of the heating system. However we are talking about a city that has tempatures going down to the -20's almost all winter. Where in the EU can you say that? Now the real point here is that all lighting in such a situation is already fluorescent. No residential housing that i have ever heard of uses lighting as a source of anything other than a load to be COOLED! and in commercial applications incandescent bulbs aren't used. I say straight to LED's... we live in a society of the lazy and moderate and this is just one more example! Dr Prescott understandably fails to point out two important aspects of CFL bulbs: 1. The energy savings and lifetimes claimed apply only if such bulbs are kept switched on all the time. Bulbs switched on and off frequently will have significantly lower lifetimes than are advertised. 2. The energy saving claimed for the bulbs does not translate into a corresponding saving in required power generating capacity, because the start up power peak when these bulbs are switched on actually requires a higher peak generating capacity. So, if we all change to using CFLs, the country will need to increase its power generating capacity. Hardly the 'saving' that the energy saving 'cult' would have us believe. I don't know why the BBC keeps giving space to this idiot, this is the third time that they have given him space to rant his unscientific views. If he really thinks that a few "low energy" lamps in middle class homes is going to have any benefit to the environment, when there is so much more incredible waste in the world, then he is a very disillusioned man. It's a great pity that he doesn't devote his time to real enviromental problems. I am firmly in favour of reducing carbon emissions but not via tokenism such as this. The light from these low-energy light bulbs is dingy. So people install down lighters which are exceedingly inefficient to compensate for the light quality. Then there is the heat issue quite correctly described by john wright which means the saving is much smaller than initally suggested. And all that mercury being scattered around the environment. Let's face it, one overtaking manoeuvre in an SUV/4wd with its 150kw engine, yes that's 150,000 watts chews through more CO2 than you would save in a month saving a few watts. If you want to get dictatorial and ban imports of something, rather than ban incandescent light bulbs ban an import of gas guzzlers, and introduce a 50mph limit on all roads except dual carriageways and motorways. Now that would save loads of CO2. But there's not much chance of that, the government would lose too much tax revenue from fuel duty! John Wright hasn't thought this one through properly. Incandescent bulbs do indeed give off a great deal of heat. But what he totally fails to take into account is the relative cost and carbon intensity of electrical and gas powered heating. So while I could indeed light my home with old fashioned light bulbs and turn my central heating down very slightly (assuming that the waste heat didn't just escape through the ceiling), I would end up paying far higher fuel bills in the long run. Mr Wright's physics might be OK, but he has absolutely no grasp of economics. Don't be "bamboozled" by his fallacious argument! The three questions which I would like answered are - Is it right to put in a generation of CFL bulbs now, or should we wait for LEDs? - In winter, the heat from conventional bulbs is not wasted, which will reduce the need for central heating; if this is taken into account, are CFLs still more efficient? 3) Why isn't more effort put into use reduction - eg reducing unneccessary streetlights? For example, when Ken Livingston announced a trial, it was trumpted as "brighter lights for the same power". Why not "the same light level for less power" - better directed and for a shorter time? Incandescent light bulbs are approximately 95% efficient at heating the room they are in, CFL are about 85%. For the same about of light, CFLs produce 1/3 of the heat. In Northen Europe, the reduced heat from CFLs has to be replaced by heat from other sources, drastically reducing the energy savings. I do agree but it's hard to get politicians to disobey their industrial masters.The private utility companies encourage us to use less power but have share holders to please,therefore put up prices.I believe the Chinese have developed a washing machine that needs no detergent,can you see that being popular with the soap powder giants? I hear what Mr Prescott says about LED's too.It's hard to overturn vested interests but we have to try. The sooner the sale of traditional lamp bulbs is outlawed the better. It is outrageous that the EU keeps an exorbitant import tax on CFLs and LEDs to protect the inefficient light bulb industry in Europe. Richard, valle gran rey la gomera canary islands spain. Full d'accord with your information on bulbs. The terminus "CFL" is not well known to my knowledge. Here in Finland and in Germany they call those only "Energiesparlampen". And as to the LED`s it was important for me to hear about their energy saving potential. Mat, and all the lobbying group, are TECHNICALLY WRONG. A vast number of lightbulbs are used in thermostatically controlled rooms. The "waste" energy is almost entirely HEAT. If such heat is lost to a room controlled by a thermostat, then this device will automatically reduce the energy input from the heating source. Thus ENERGY is only saved when lighting is required, and heating is not. This occurs mostly for a few short weeks in spring and autumn. THE REAL SAVING IS THEREFORE ONLY AROUND 20% OF THAT SUGGESTED! The above FACTS are the LAWS OF PHYSICS, and CANNOT BE DISPUTED. Also, since the cost of the new bulbs averages five times the cost of the old, It is reasonable to beleive that the energy consumed in manufacture is considerably higher. This does not have been taken into consideration. It ios absolutely appalling how we have been so comprehensively bamboozled. I do hope that this information is widely spread so tht we may be spared from this regulation control nightmare.